This week’s Throwback Thursday photograph is of former Windsor Mayor Elizabeth Kishkon. Ms. Kishkon passed away on Wednesday August 29th, 2018 and was noted for being Windsor’s only female mayor from 1982 to 1985. Elizabeth Kishkon was born in Oshawa in the early 1930s, where her father worked on the General Motors production line. In 1948 Elizabeth moved to Windsor and worked at various clerical positions. Kishkon’s “political awakening” occurred in the mid-1960s when she began attending Ontario Municipal Board and Planning Committee meetings as a result of her opposition to proposed commercial development on Pêche Island and the Holiday Inn development on the waterfront. Her first taste of municipal politics occurred in 1967 which resulted in an unsuccessful bid for city alderman. During the 1969 civic election, Elizabeth Kishkon ran, and won a seat on City Council. That same year, she joined the New Democratic Party. In 1971, lured by the prospect of a new challenge and a substantial pay raise, Elizabeth Kishkon quit politics to participate in CBE radio’s “Information Windsor” morning show, and contribute stories to Radio Canada International. Returning to civic politics in 1981, Kishkon served as alderman for Ward 4 for two years before deciding to run for Windsor Mayor. 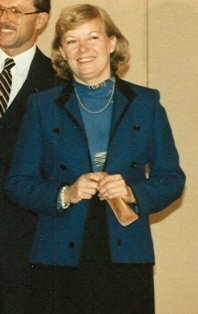 In 1982, Elizabeth Kishkon became Windsor’s first woman Mayor. Her three year term proved quite difficult for Kishkon, as she was unable to win the support of a divided City Council, which oftentimes was quite vocal in its opposition to the Mayor’s positions. Tired of the constant battles for support, Mayor Kishkon decided not to seek a second term, despite her popularity among the citizens of Windsor. Among the notable accomplishments of Mayor Kishkon where her efforts to curb the proliferation of the city’s adult night clubs, examining the state of the city’s services to its children, getting City Council’s first freedom of information by-law drafted and passed, her involvement in the establishment of a family planning clinic at the Metro Windsor-Essex Health Unit, and continuing the negotiations with the Canadian National Railways for the transfer of their riverfront lands to the city. One of the most memorable events during her time as Mayor was hosting Queen Elizabeth and Prince Phillip on a Royal Visit to Windsor in 1984. In 1986 she was given an honorary degree from the University of Windsor. The city in 2017 named an east end park Elizabeth Kishkon Park in her honour.